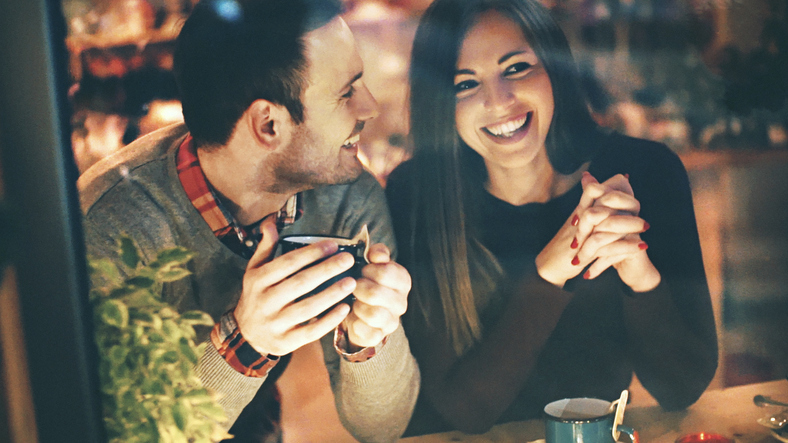 When it comes to Jewish dating, half the fun is finding out just what you have in common. That said, let’s take a look at these 10 inevitable conversation topics that are bound to come up when Jews date! It’s hard to not look back fondly at those hot summer days when you were baking challah, going on treks, and being away from home for weeks at a time. We may have felt very homesick at the time, but let’s face it – Jewish summer camp is an unforgettable rite of passage. It’s the place where many of us stole our first kiss or had our first boyfriend/girlfriend, and where we built unbreakable bonds with friends. Heck, you may have even gone to the same summer camp as your date! It’s a great conversation starter that is bound to have you both sharing fun anecdotes. Jewish history is incredibly rich, even going back a few generations. There’s no such thing as going on a date with another Jew without finding out exactly where their family originates. Are they Ashkenazi or Mizrachi? How many generations back are you both in the US? You may be able to tell their ethnicity from their appearance, but today, we all come from mixed backgrounds that are sure to bring up interesting conversation on recent Jewish & family history. Jewish communities are small, even when they feel incredibly big. There are only 13.9 million Jews around the world, making up a mere 0.02% of the world’s population. So there’s no doubt that when Jews date, they must have mutual friends. If you don’t have any mutual acquaintances, you certainly have a maximum three degrees of separation between you both – a friend of a friend, a cousin of a cousin and so on. We’re all interconnected and half the fun is figuring out how! Every Jew practices Judaism how they feel most comfortable and connected to its teachings and traditions. Whether you’re agnostic, part of the reform movement, traditional, Modern Orthodox or Charedi, your level of religiosity is bound to come up in conversation. After all, we all want a partner who follows a similar religious path and practice, especially if we’re putting thought into serious relationships that may evolve toward marriage and children. Expect the more clear-cut questions when it comes to religion: Shabbat or no Shabbat? Kosher or treif? Which synagogue do you go to? 5. The Yiddishe Mama Question: What Do You Do For a Living? It’s the ongoing joke in the Jewish community that mothers want their daughters married to a doctor or a lawyer – nothing else will do. In reality, it’s inevitable that you both discuss what you do for a living, your career plans and objectives, and of course, where you studied. It’s not just because it gives a better idea of who you’re dating, it’s also a window towards the other person’s interests and their potential compatibility. In Jewish dating, this is unavoidable! 6. Aliyah or no Aliyah? To move to Israel or to not move to Israel? That is the question. For some people, this is a non-issue; they have never even considered it as an option. Other people you date may feel strongly about it or see it as something that they would like to do in the future. Regardless, it’s something that will eventually pop-up in conversation, especially if you’re both looking for something serious. After all, you need someone who has similar plans to your own, especially if plans include moving to the other side of the world. 7. Are you a JDate Girl/Boy? Baruch hashem for JDate… never before has Jewish dating been so easy and accessible. It’s the place for single Jews to be, especially if it’s important to them to date other Jews. However, it’s not everyone’s cup of tea and that’s perfectly okay because if there’s anywhere Jews abound, it’s on online dating sites. Some Jewish daters prefer to try a different dating site where they can meet a wider variety of people, like match.com. So how about you and your date? Even if you met on an online dating site, there’s a good chance that they have quite a lot to say about the site and the people they have met through it! There are even parodies about the types of people you can meet on online dating sites, particularly JDate, like this amusing video on the “7 Women You Meet on JDate” – all in good fun! Ready to meet your beshert? Start scoping out some profiles with a JDate free trial and make your move!